Founded in 2009, the Malmö based Altewai.Saome are already one of the most talked about Swedish designers. And their collection really blew me away! So different than the rest of the shows here in Stockholm. After studying fashion, the two Swedish born designers Natalia Altewai and Randa Saome worked for different Italian fashion houses for several years before starting their own label. Scandinavia meets Italian high fashion! Exciting, I can´t wait to see where they will be going next. 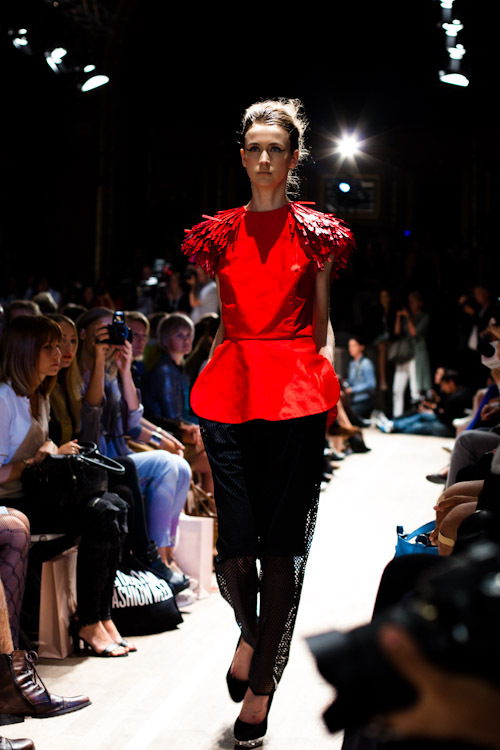 To me simply the best show of Mercedes-Banz Fashionweek Stockholm.